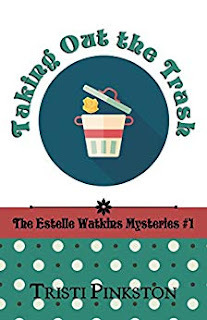 Genteel Southern lady Estelle Watkins didn’t expect to find a little surprise in her trash can, and she certainly didn’t expect her son to get accused of murder. Determined to save him from spending the rest of his life on death row—or worse—she’s thrown into the middle of an investigation along with Vera, her next-door neighbor and faithful sidekick. Their methods are a bit unusual, but never underestimate a woman on a mission to protect her son . . .